The best way to get through a Monday? Dream about a beautiful island escape. And this holiday cottage has got my heart all a flutter! 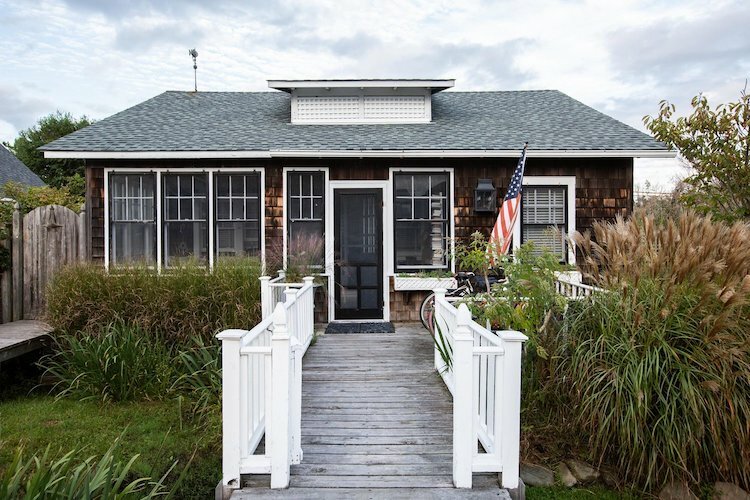 Fire island is a thin Atlantic Ocean barrier island off the southern shore of Long Island. Cars are left at the dock and the sandy beaches, dunes and stilted houses are reached by foot via raised boardwalks and sandy pathways. 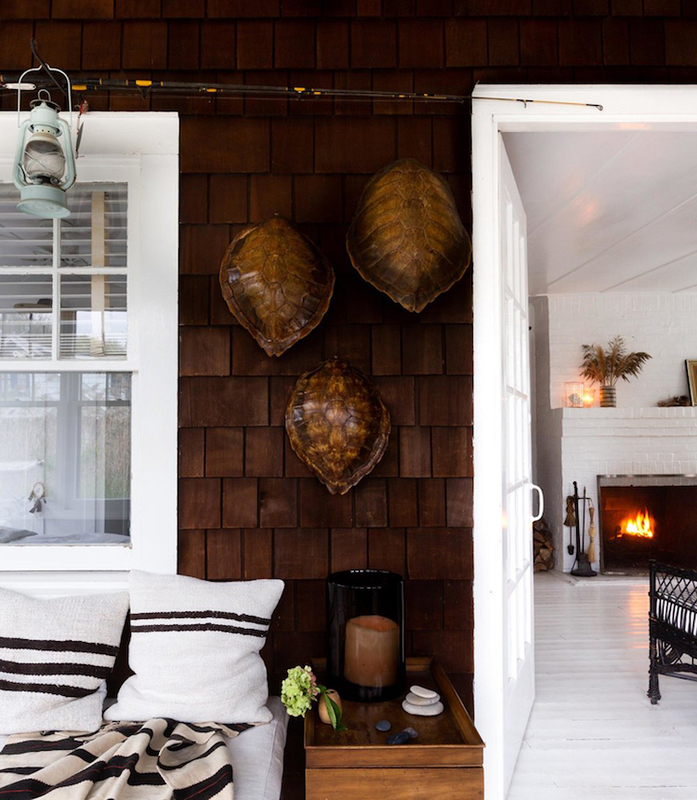 This charming early 20th century stilted cottage belongs to Alex Bates, founder of creative agency Flint & Kent and co-founder of Bloomist.com - sustainable, nature inspired products for the home and her husband Andrew Hoffman. 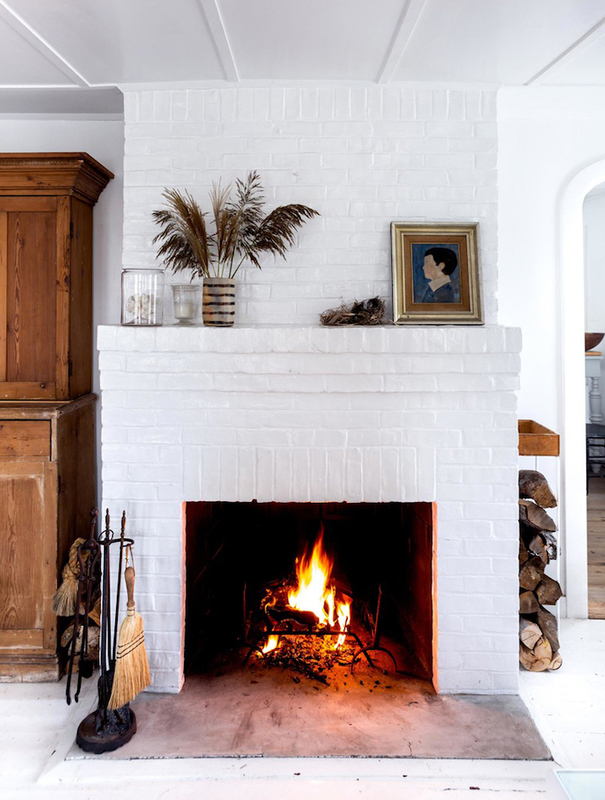 Decorated with a blend of vintage finds and white washed walls and floors, the relaxed cottage serves as a perfect antidote from life in New York City. 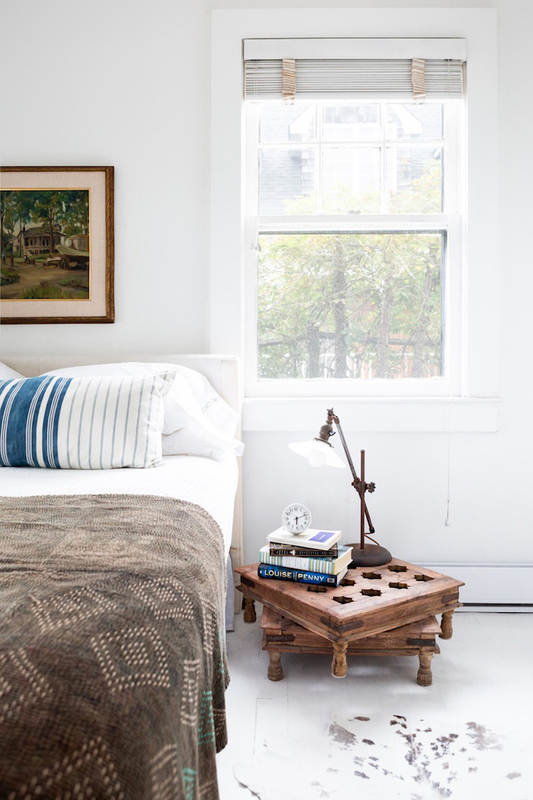 You may have seen this space on Maryn, SF Girl by Bay or the Style Files - but it's definitely not one to be missed - and in my mind, can be enjoyed time and time again - especially on a Monday! Are you ready to look inside?! How easy would it be to get through the working week knowing that windswept walks along the beach and drinks by the fire await come Friday?! Sooooo lovely! Looking at the white-washed inside of the cottage you'd be forgiven for thinking you're in Scandinavia (although the US flag on the outside is a bit of a give-away!) 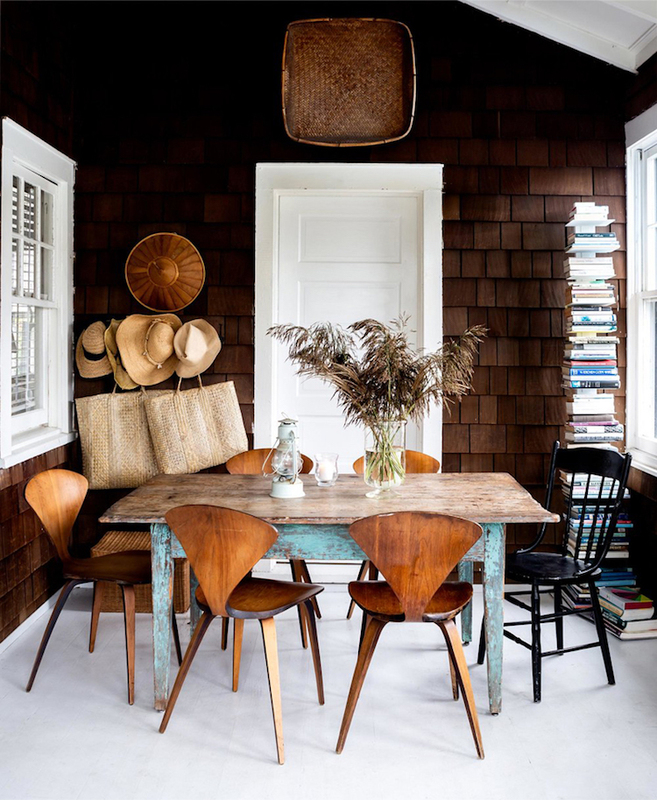 I especially love the dining space with the classic Cherner side chairs, vintage table and wood panel walls. Is there anything that stood out to you? Read the full interview and see more pictures here - and pay a visit to Alex's wonderful store! Other charming beach homes include the Caribbean beach house, a summer retreat on the Greek island of Milos and the cottage, Byron Bay. Have a wonderful start to the week friends - we're going to nail this one, and it'll Friday before we know it! What an inviting sun room! I know where I would spend all my time in that house, with a stack of books and an electric kettle so I didn't even have to get up! Now, that would be a perfect way to spend a weekend! I absolutely love this home too, an absolute dream! Thank you so much for letting me know - I've updated the post. Lover your shop!! 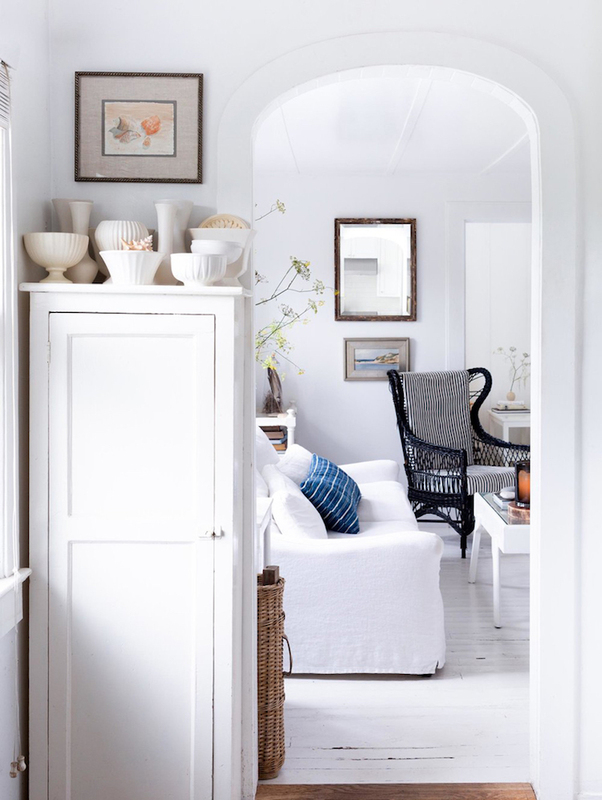 And what a dreamy cottage you have, so inspiring! Gorgeous displays! And I love the contrast of dark natural wood with white. Looks lovely, but probably very cold in the winter. Styling like this makes me chuckle. That kitchen LOOKS so nice, but sitting at those stools would actually be very uncomfortable because there is no overhang on that table. Also, the bedroom side table is too low for actual use- the lamp is so low that it would be useless for reading in that bed!